When searching for affordable and valuable advertising space in a newspaper or magazine, there are generally two kinds of ad space available: premium and remnant ad space. Both spaces offer some level of value to advertisers, but which option is the best when cost is factored in? Larger businesses may have the revenue to use both options to their advantage, but what about small to medium-sized companies? Which option enables them to expose their message to the right audience, without costing them an arm and a leg? Here’s what you need to know about remnant vs. premium inventory and how a marketing agency can help you access quality ad space. Premium inventory is advertising space that is higher-quality and more expensive than other spaces. It is generally located above-the-field, on a popular section, or is considered more valuable because of its greater exposure. Premium ad space is considered the ideal space for all advertisers, however, the high price and competition for the space make it more challenging to claim. The space visibility is one of the biggest advantages of premium inventory. Since newspapers are usually folded in half to save space when displayed, the ads and material on the top fold are immediately seen, even if a reader chooses not to make a purchase. Visibility and exposure have a direct impact on consumers by drawing their eyes to your message. You also have access to larger real estate on the page, so you can make your ad as large as you want. Remnant advertising space, or remnant inventory, is the space that a media company has been unable to sell. For example, the leftover space in a newspaper or magazine that is still available close to the publishing date. This space is usually available because of last minute cancellations, if it does not sell, and during times when the advertising industry is not actively seeking ad space. Remnant inventory is unpredictable and fluctuates, but when an advertiser can find it, it creates a great opportunity if you act quickly and are flexible. Since remnant ad space is a low-cost option, some would say it has less value—this is not the case. Two of the primary benefits of remnant inventory are cost and exposure. Remnant space is usually offered at a drastically discounted price, but still offers major exposure in print media, among other mediums. Some magazines and newspapers will offer discounts as great as 75% of the original price! The low cost also means that smaller- to medium-sized businesses can affordably reach a large audience that would normally be out of their league. When comparing premium vs. remnant inventory, the value of each truly depends on what your needs and abilities are as a business. Huge brands have no problem buying premium ad space, but that isn’t the case for all businesses. Small- to medium-sized business may need to seek out more affordable and reasonable options to advertise, which is why remnant inventory is the best option. agency offers a low-cost marketing solution, with massive discounts. It is a great platform to test new ads or perform A/B testing, without the risks of making a huge investment. When a business is marketing off-season, remnant ad space lets you access your target audience and boost the chances that they will continue to buy into your product or services. Remnant space helps you build brand recognition if you are a fresh, new business, and it expands your reach to target your prospects outside of your local region. Although premium inventory offers most of these benefits, it does not come close in terms of the cost to value ratio. 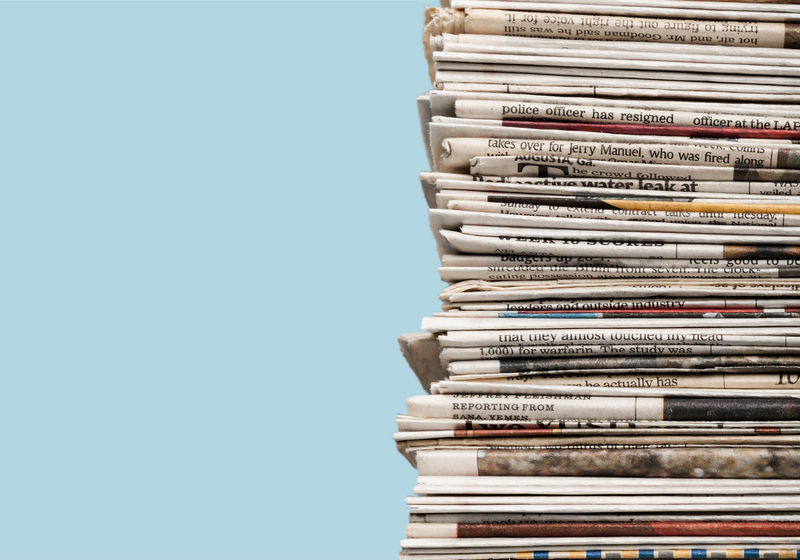 If you want your newspaper ad to benefit from reach and exposure but are looking for a more affordable way to deliver your message to your target audience, remnant advertising is the solution for you. Aside from the benefits mentioned above, working with a remnant advertising agency or broker can be a partnership that leads you to even greater success. Remnant brokers will reach out to companies to get a deal for leftover ad space in newspapers and magazines. If your ad is ready for publishing, but you need assistance finding the right place for it, Macromark can help you. With over 30 years of experience, Macromark has grown to become one of the leaders of the direct mail industry. We can help you save with high discounts on remnant ad space, as you use the platform to reach a wider audience. You can target your consumers with precision through our comprehensive list offerings, and we can help you negotiate costs and more. Make sure your ad stands out from your competitors and engage readers—both of which are essential to growing your customer base and enticing them to visit your store or web site. Our services also include print media, direct mail marketing, list brokerage, data solutions, list fulfillment, and list management. For more information about how Macromark can help grow your business, contact us at 1-(845)-230-6300.